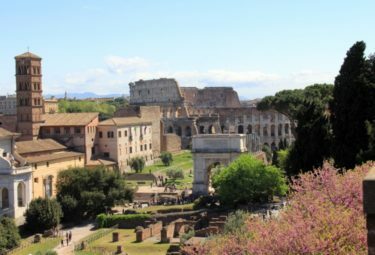 Visit the Colosseum, Sistine Chapel and much more with this exciting full day highlights tour of Rome! 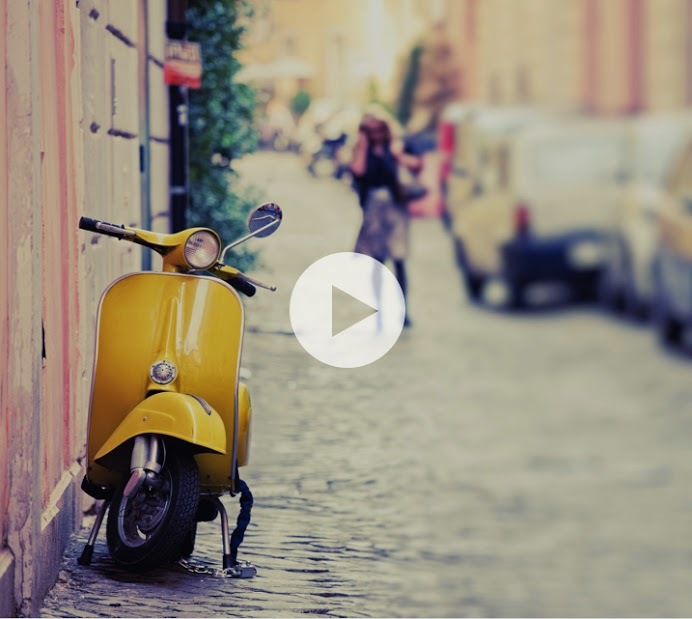 See the highlights of Rome in one day! Our Rome in a Day Small Group Tour is the perfect way to see the highlights of the Eternal City on limited time. 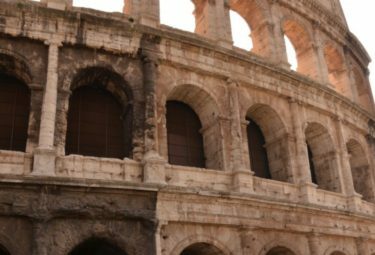 Visit the Colosseum, Sistine Chapel, Trevi Fountain and much more with our action packed full-day itinerary. This exciting tour welcomes you on a journey through time and place. Visit the extraordinary ancient ruins in the Roman Forum, learn how the monuments were used during the ancient times. Let yourself be entertained by the unbelievable stories about Renaissance and Baroque artists whilst tossing a coin in the Trevi Fountain and admiring the Pantheon, and visit the heart of the Catholic Church, the Vatican Museums, the Sistine Chapel and St. Peter’s Basilica. 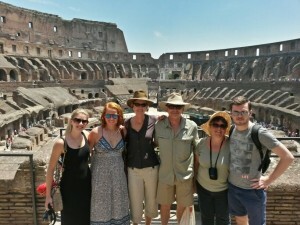 The Rome in a Day Small Group Tour begins at the iconic Colosseum. 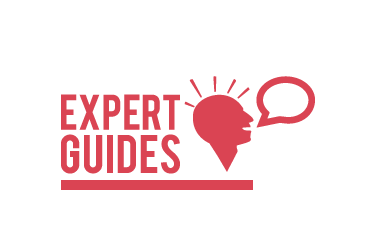 Your expert LivItaly guide, leader of the small group of maximum 6 people, will guarantee you the ability to relive and passionately learn about this majestic Amphitheatre. With LivItaly’s privileged access into the Colosseum you will skip the long ticket lines, and after a short security check, you will access the remains, learn about the construction and the use of the imposing ancient building, hear stories about Gladiators, theatre shows, animal fights and much more. After some bloody gladiator stories and opportunities to take memorable pictures we leave and continue to another archaeological site: the Roman Forum. 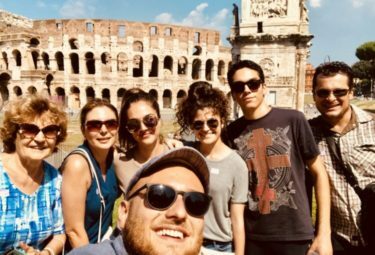 In our Rome in a Day Small Group Tour, while walking through ruins and stepping on original cobblestones, you will hear the amazing stories about Romulus and the Kings, Julius Caesar, Octavian, Hadrian and many more. Learn how the city of Rome first started and how it grew to become the largest political and military power of the Ancient world. 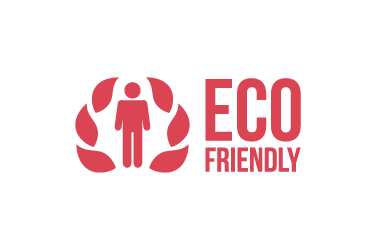 Along the way we will visit important ancient monuments including the Arch of Titus and the Temple of the Divine Julius Caesar. 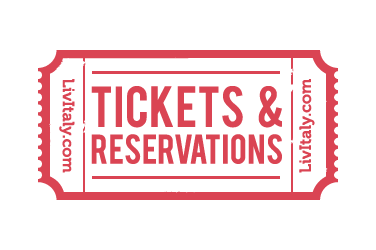 Enjoy the beauty of the historic city center of Rome right from the comfort of your seats! The next part of your Rome in a Day Tour allows you to experience a tour of the city in style, as you are driven around by a provate chauffeur in a Mercedes Benz to Rome’s most famous monuments. 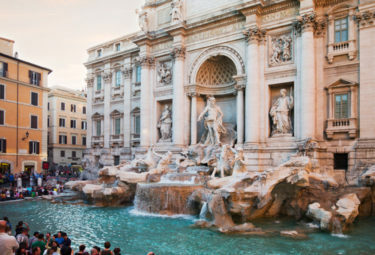 The Trevi Fountain is next on our list, toss a coin and have your guide describe to you its striking beauty and interesting history. We continue winding through enchanting small streets to reach the impressive Pantheon. Dating back to the 2nd century, it remains a unique example of architectural triumph, with a dome unmatched to this day, and an imposing presence in Rome’s historical center. Continue to the Spanish Steps, take a beautiful and memorable picture and then off to Piazza Navona, quintessential iconic square of Roman Baroque. In LivItaly’s Rome in a Day Tour you will be dropped off near the Vatican area for a quick lunch break (not included in the final price). 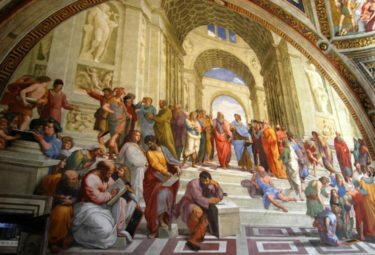 With renewed energy your exciting day continues for a visit to one of the greatest art collections of the world with a guide by your side in The Vatican Museums. 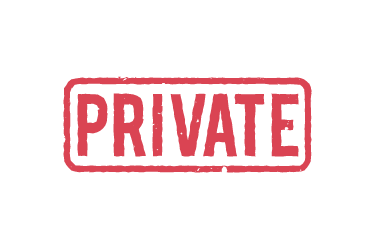 Enjoy skip the line access and get ready to explore the vast collection. 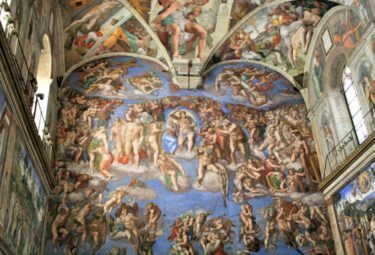 Walk through the grandiose halls and visit the Gallery of Maps, Gallery of Tapestries, the Raphael Rooms and of course, Michelangelo’s Sistine Chapel. Enjoy all the beautiful pieces and let your guide entertain you, in a small group of max 6 participants, with the fascinating history of the Popes and the artists that worked for them. 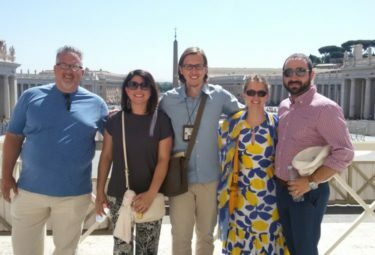 The tour ends with exclusive access to the largest Catholic church in the world, St. Peter’s Basilica. 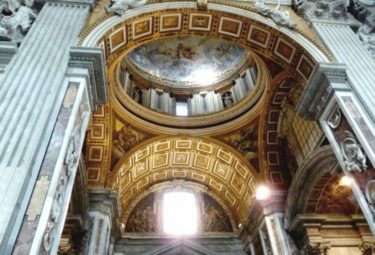 Skip another long line and end your Rome in a Day Tour by entering the Basilica where you will admire Michelangelo’s Pietà, the Bernini Baldacchino and much more. After your complete tour of the Vatican Museum, the Sistine Chapel and St. Peter’s Basilica you will be ready to call it a day. Relax with the knowledge that you have learned, seen, and experienced the best of the Eternal City! 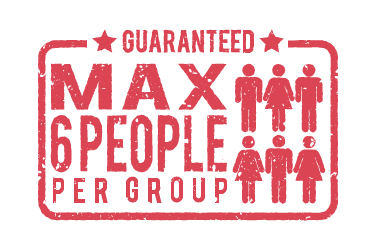 Please Note: In order to book this experience, you need to be at least 2 participants. St.Peter’s Basilica may be closed due to special and sometimes unexpected celebrations. If this happens during your visit, your LivItaly guide will make up for the time with other highlights of the Vatican. Start your day in Rome by visiting one of the most famous monuments, The Colosseum! Our expert tour guide will take you around the Colosseum's tiers telling you stories of the gladiators. Continue on to the Roman Forum where you'll get to learn about Rome's ancient history. Next on your tour, a must-see, the Trevi Fountain! 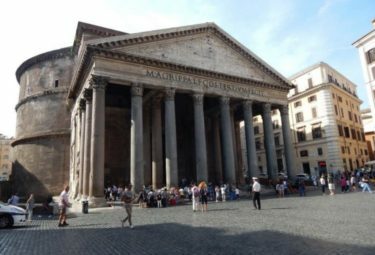 Continue through Rome's historic center to the Pantheon, a unique example of architectural triumph. After falling in love with Rome's city center, you'll head to the Vatican City to visit the Vatican Museums. Our guide will take you through the Museum's hallways telling you tales about the artists. After visiting the Vatican Museums you'll continue on to St Peter's Basilica, the largest church! Your day will end outside of St Peter's Basilica where your guide will tell you about Bernini's influence. Great Rome in a Day Small Group Tour with Davide!